Adjective. : To be certain about something. 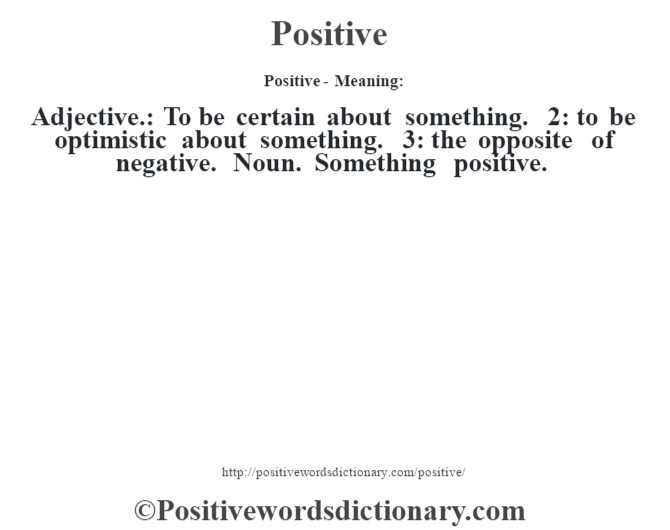 2: to be optimistic about something. 3: the opposite of negative. Noun. Something positive.